Chromebooks rule the school, but a cheap Surface and cloud-based Windows could change that. If a low-cost Microsoft Surface with a cloud-based Windows operating system sounds a lot like a Chromebook, that’s probably no coincidence. Windows PCs have lost ground in the U.S. education market to Google’s browser-based laptops. As Microsoft sends out invitations for a May 2 event in New York, rumors suggest the company will announce a Surface for schools—among other things. 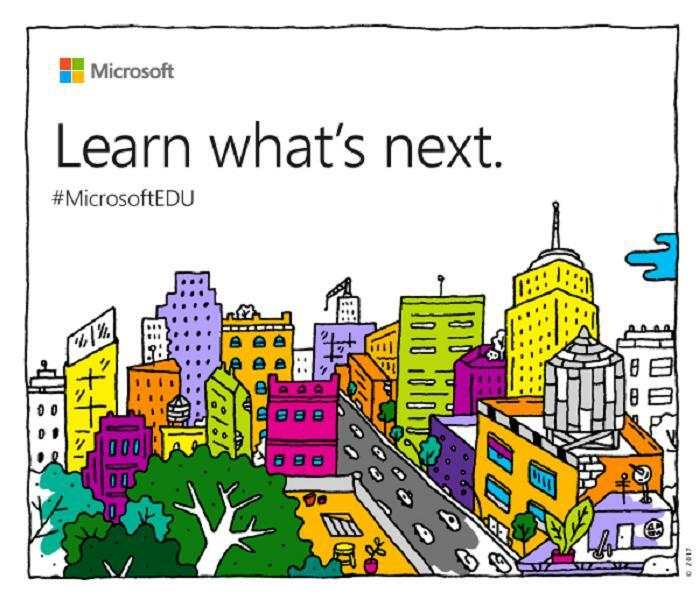 Microsoft’s invitation to the event included the hashtag “#MicrosoftEDU,” framing the announcement within the context of the classroom. Microsoft is expected to weave together several announcements: a new Surface device, a new, managed Windows Cloud operating system, and probably a look ahead to the next major Windows update, dubbed Redstone 3. Other possibilities include a quiet refresh of the Surface Pro 4 with a new 7th-generation Kaby Lake chip, as well as an intriguing but unsubstantiated rumor that some form of Windows Cloud could replace Windows Mobile. Why this matters: Microsoft has repeatedly struggled to compete with Chromebooks. Little more than a year ago, for example, Acer, JP.IK, Lenovo all launched rugged clamshell PCs featuring spillproof keyboards, with prices beginning at $199. 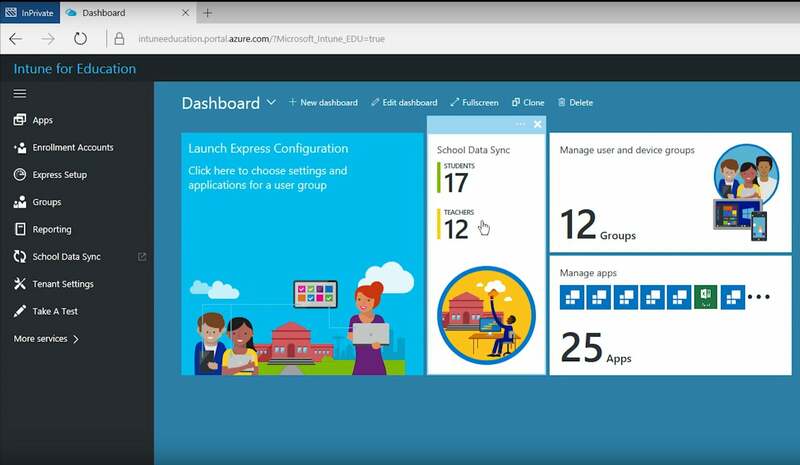 Microsoft launched Intune for Education, a version of its Intune management application that was supposed to make managing 30 or so PCs per classroom a snap. Apparently, it didn’t help: Chromebook momentum is still climbing, according to Jay Chou, who tracks PC sales for IDC. Lenovo’s ThinkPad 11e Chromebook. Microsoft wants to get hardware makers to start thinking of Windows instead. Since bursting onto the scene in 2011, the Chromebook has excelled in academia, displacing Apple’s Macs and iPads, as well as Windows PCs. According to IDC, 7.5 million Chromebooks were sold into the U.S. education (K-12) market during 2016, versus 2 million Windows PCs. Microsoft must chip away at Chromebook’s heftier share before Windows PCs drop out of school altogether. First, though, Microsoft has to convince technology purchasers at individual school districts that Windows machines are a stronger value. It could be a tough assignment. Microsoft’s Intune for Education attempted to overcome the limitations of Windows and attack Chromebooks. The solution: a cheap, managed Surface? It’s unclear what kids themselves prefer (one source, cited by TechRepublic in 2014, said kids preferred using laptop keyboards versus tablets), which is why some believe a Surface for school could actually be a rugged clamshell. That seems likely if only because the Surface’s existing kickstand doesn’t stand a chance against an excitedly flailing third-grader. Detachable keyboards can get lost, too. 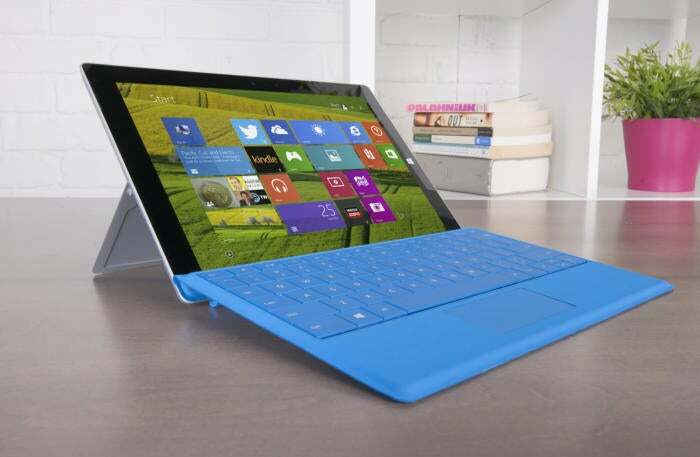 If Microsoft does release a Surface two-in-one, I’d expect it to have rubber bumpers, at the very least. It’s unlikely this Surface 3 could survive with kids in a classroom. Expect to see Windows Ink front and center. Microsoft’s said previously that its inking capabilities are a key advantage over Chromebooks. Most Chromebooks, anyway: Note that Samsung’s recently announced Chromebook Plus and Chromebook Pro have pen capabilities, though more primitive than those found in Windows 10. Finally, there’s Windows Cloud. First discovered earlier this year, Cloud locks down the operating system to just UWP apps that can be downloaded from the Windows Store—great for administrators who want total control over what students can do on their PCs. Oddly, Cloud was later discovered to have an upgrade path to Windows 10 Pro, though that could be eliminated if it powers an education machine. A Windows Cloud-powered Surface clamshell or tablet with links to a managed version of the Windows Store seems likely. A Surface Pro refresh built around Intel’s Kaby Lake chip is still expected at some point, but the scuttlebutt seems to be turning away from a launch at the May event. A more likely venue for a Surface Pro announcement might be Microsoft’s Build developer conference, starting just days later in Seattle. Though Microsoft’s Windows Mobile champion Joe Belfiore recently resurfaced from a nine-month sabbatical, there’s no buzz on a Surface Phone. Windows Mobile is apparently alive, if not well. “We continue to develop Windows 10 Mobile and support Lumia phones such as the Lumia 650, Lumia 950, and Lumia 950 XL, and phones from OEM partners like Acer, Alcatel, HP, Trinity and VAIO,” a Microsoft spokesman said recently. Could Windows Cloud replace Windows 10 Mobile? Probably not, but it’s an enticing thought if the rumored Surface Phone ends up being a foldable device. Windows Central also brings word that Windows is revealing more about the Cortana-powered speaker that was announced last year. Device setup features are being baked into Windows. Could Microsoft show off the first Cortana-powered devices in May? Whatever happens, we’ll be onsite at both events to bring you the full report. This story was updated at 10:36 AM with additional details. This story was corrected on April 24 with the correct date.